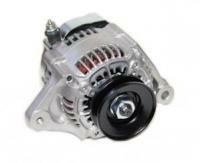 Rebuilt Factory replacement Alternator 45 amp. Fits U15T/U/18T/U19T/U41T/U42T. No core charge, no core return. Include VIN number when ordering.